How do I get a Student Visa to Study Abroad? Before planning your Study Abroad Trip the important thing you need to get is Student Visa. The Student Visa is very important and plays a vital role in your abroad studies. Without this Visa, you will not be allowed to attend or stay in the University. So first apply for the Student Visa at the Embassy of the concerned country to get permission to study in your study destination. But you may think what is the process to apply for Study Visa and what are the requirements to apply for student Visa? To provide guidance to students on Visa Process here we have given the detailed Student Visa Process and the Checklist required to apply for Student Visa. Refer the process and apply for it at a concerned Embassy. Actually, there is no Common Application Process to apply for Student Visa, it may vary from embassy to embassy. So the application process for a study abroad student Visa is a little bit confusing. So it is best to contact the Embassy of the concerned country directly to know the basic guidelines to apply for Student Visa. Some things you need to keep in mind while applying for Student Visa are Average Time it takes to process Visa, and whether a student should apply in the jurisdiction where they go to school or through their permanent residence. As there is no common student visa application process it is better to take guidance of the students already has been there or educational consultants who have already handled student visas in the past. If a Student is going through these type of consultants the advisors will be able to provide guidance and advice on your student Visa. What are the Requirements to apply for Study Visa? As there is no common application process for the student visa the requirements will also vary from country to country. But in general, all countries requires some common things like photos, a fee, proof of funds, Proof of your admission, Proof of Housing in your home country, Fingerprints, etc. In some cases, you also need to show that you don’t have any Criminal Record or Background. The Local Police Station in the country where you are applying for Visa will take care of that and some countries especially require an FBI background Check. So the students applying to countries that require FBI Background check are advised to start the process before getting accepted to their study program to speed up the process. And sometimes Batch Processing is also possible in student visa process to submit visa applications by a single institution on behalf of the students. Some Universities or third-party providers offer this service if there are multiple students participating in a program. But it depends on the rules of each embassy and consulate. New Zealand – Study Visa Form. Singapore – Study Visa Form. The First thing you need to do is contact the university or college to clarify which visa you need to apply for and ask them to send you the necessary documentation for your application. After getting the information on the appropriate visa you need to apply for and any supplementary documentation you need to submit, prepare the documents and be ready to apply. 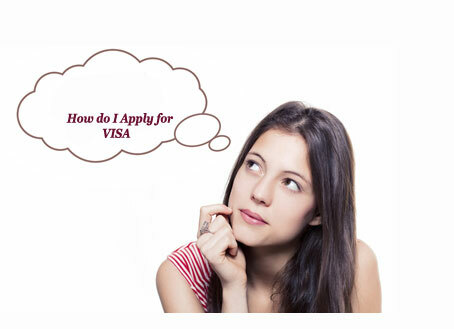 You can apply for Visa in many ways such as by post, courier, or online. Visit Embassy/Consulate or search their website to know how you can apply for Visa. Your Visa will not valid if the information provided by you is invalid. So Submit the correct and proper information with the application. Once your Visa Application has been received the consulate will check the Documents and will approve your Visa. The Visa Process may take as little as few days to few months based on the country. This Time is called as visa processing time. While applying to the Student Visa you need to submit some applications along with the Visa Application form. By Compiling embassy website we have provided the list of Documents that are required to apply for Student Visa. A Certificate of Eligibility for Nonimmigrant Student Status. How to Obtain Student Visa from the Consulate? After applying for the Student Visa with the required documents the students need to appear at the consulate to obtain his Visa. While getting Visa he should be able to answer some questions asked by the embassy like which university you have applied, your test scores, etc. And for some countries, a student does not need to appear to obtain the visa in those cases some agencies like Zierer Visa Service (www.zvs.com) or Perry Visa (perryvisa.com) acts as a stand in for the student. Once your Student Visa period is completed you can also extend your visa by showing valid reasons like work permit otherwise, you will not be allowed to stay in that country. Usually, a Student Visa can be valid for one more year after completion of your studies too. So before expiring the Visa you can renew your visa at embassy. I Authorize PVKEC to contact me.